I got to take pictures of this adorable baby boy on Sunday. He was great to work with and I got to try a few new things. Cute, Cute and Cute. I am so excited about these pictures! These three are beautiful! Kelsie picked awesome colors and they were all so easy to photograph! I had so much fun with this cute little family! Brady and Shayna have an adorbale little boy, Collin. He was tough to get a smile but he still had alot of personality! Sneak Peak of this fun Family! They were so easy to work with and we got some great photos! Oh what a cute little boy! Taking pictures of this little one was a lot of fun! I got a few cute smiles out of him. Thanks Jackie for letting me photograph your newest edition. and thanks to my sister Shayna for the referral! I’m trying to get my name out there and get more experience so I’m doing a $30 Special. Any kind of pictures and this includes your CD with some edited Photos! Call/Text 435-770-8608 or Email Staceymoss@live.com My time is limited so schedule today! 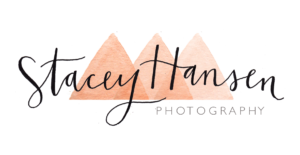 Welcome to my photography blog! I’m pretty new at this although I’ve been taking photos for a long time. I’m excited to expand into whatever life brings me. Thanks for looking! Check out our different page tabs for samples and ideas.